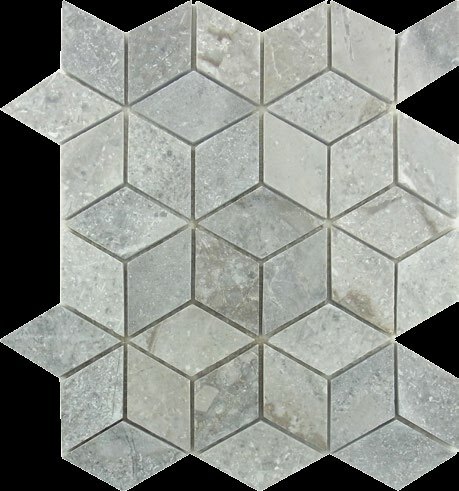 Concave Cube Shaped Mosaic in Gris Marron Marble fixed on Mesh backing. Polished finish. Not suitable for use on the floor. Use of a penetrating sealant is recommended. Select a sealant that is specifically designed for use with natural marble.